Through the Outreach Ministry of Western Oaks Christian Church, members prepare and deliver meals each Wednesday within a specified geographical area. Volunteers are needed, and anyone interested in cooking or delivering meals, please call the church Administrative Assistant at 789-8812. We share our space with the Oklahoma County Elections Board for precinct voting, with Oklahoma Department of Human Services for training events, with Putnam City West parents for a place to feed supper to the football team, with the Putnam City West soccer team for practice space, with the Bethany YMCA for summer camp programs, Al-anon, and other groups. Four or five times a year, volunteers from Western Oaks Christian make supper and take it downtown to serve to members of Refuge Church, most of whom are homeless. We join them in their church service before we serve them dinner. The church arranges for health care service providers to come to the church to provide information, free services such as flu shots, and an opportunity to donate blood. The church provides Trunk or Treat, an Easter Egg Hunt, and a place for kids to play basketball. Volunteers from Western Oaks Christian church, Lutheran Church of Our Savior, and various people from the community work together to provide one-on-one tutoring in reading to students of Western Oaks Elementary. This program meets at Western Oaks Christian Church to provide opportunities for food, fellowship, devotions and mentoring. Each month the church provides opportunities for families to do some fun activities together such as trips to the Zoo, Science Museum, Water Park, or just staying at the church for fun games and fellowship. Every Sunday, after the 11:00 a.m. service, church members and visitors enjoy coffee, punch and goodies, as they fellowship together in the parlor of the church. Sunday school classes and other groups take turns providing the food. Several times a year, the Fellowship Committee organizes potluck dinners with special themes and programs. Watch the newsletter for dates and times. This group is open to all women, young and old. We enjoy Bible study, fellowship, food, and participating in Mission projects. 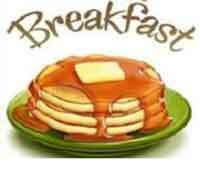 Come join us at The Olde Orchard Restaurant, 7339 N.W. 23rd St., Bethany, for a great meal and great fellowship. All church men are invited. Bring a guest! Our meetings are held the first Saturday of each month, except there will be NO meetings in July, August and September. We look forward to seeing you there. If you would like to be on an email reminder list, please call the church office (789-8812) and give your email address to be used to notify you for the Men's breakfast. Christian Women's Fellowship (CWF) 9:30 a.m. on Tuesdays for sewing and service projects, except the second Tuesday for a business meeting and luncheon at 10:00. 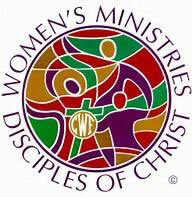 CWF is a study, fellowship and service group for all women who are members or friends of Western Oaks Christian Church. 2018-2019 Officers: Betty Singleton, President; Charlene Majetic, Vice-President; Betty Jane Spreier, Secretary; Terry Spreier, Treasurer; Marlene Word, Worship Chairman; Sandra Spillman & Charli Meador, Service Chairman; Marilyn Chalk, Calling Chairman; Jenna Droke, Coffee Chairman; Charlene Majetic, Membership Chairman; Barbara Campbell, Sunshine Chairman. Caring and Sharing Group, 5:00 p.m. 2nd and 4th Wednesdays for supper together, and 4:00 p.m. on the 3rd Sunday of each month. If you have lost a loved one please feel free and especially invited to attend our monthly meeting on the third Sunday of the month. We meet at 4:00 p.m. for one hour and have programs of interest pertaining to grief and the active continuance of life without our loved ones. We offer fellowship, Christian love, and a safe place to share our personal grief, support one another as we progress through the sad journey of death, AND we even laugh a lot. Fellowship get-togethers are on the 2nd and 4th Wednesdays at various local restaurants, usually at 5:00 p.m. Please contact Margo Thein at (405)947-1873 or (405)630-0770 or Charlene Majetic at (405)830-2281 for information about where we will be eating. Remember, no RSVP's are required for meetings or dinners. All who are interested in singing with the choir are welcome to attend. Contact Ron Manning if you have any questions. Nursery service will be provided to accommodate parents with young children. During the summer, there are many opportunities for singers and instrumentalists to provide solos or duets for the church. There’s nothing that stirs my heart and mind like singing the great hymns of the church! The Music Department is now preparing timeless and new music to focus our hearts and minds on God’s greatest gift to us, Jesus Christ. Our music and prayers are our expressions of love and thankfulness in response to this timeless gift. Our praise team presents music with a contemporary sound during the Contemporary Service each Sunday morning at 9:00 am. This traditional Bible class studies from the curriculum provided by the Disciples of Christ. There is no age requirement, just a desire to rejoice and serve Christ. The class is taught by Hald Dawes (373-3105) and T.J. Johnson (789-3831) in Room 117. This class uses various study guides to improve upon their life skills, and they decide the topic of study. There is no age requirement. The class is taught by Bob Melton (721-4611) in Room 113. This class deals with various study books related to the Bible, especially the focusing on the context in which the Bible was written. There is no age requirement. The class is taught by Dave Schroeder (946-5274) in Room 112. Soup for the Soul is an opportunity for anyone to gather for a simple meal of soup and salad and participate in educational talks led by various guest speakers. Every summer the church hosts one week for Vacation Bible School for all ages. Adults have a special class for them as well as children. 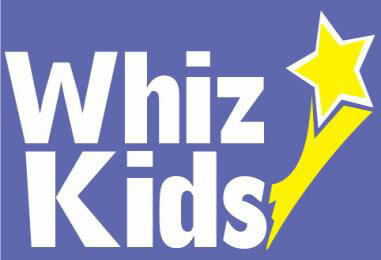 Children's Worship and Wonder--meets during the Sunday 11:00 a.m. worship beginning after the children's sermon. Children's Sunday School--Grow-Proclaim-Serve--10:00 a.m., Sunday. We offer an interactive Bible story based curriculum for children kindergarten through 5th grade. Each week the children learn a new Bible story. We also provide nursery care for children birth through pre-k. Youth Groups, Sunday -- 6th--12th Grades, 2:30 P.M. to 4:00 P.M. Adult and youth volunteers create educational experiences for children, for all ages, during evenings for one week, culminating in a Sunday program during church. Children and youth are encouraged to attend a Disciples church camp. The whole church participates in fund-raising events to assist kids with costs.